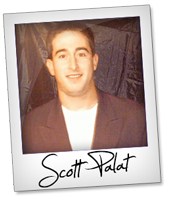 Welcome to the JVNP 2.0 Weekend Update featuring a primary JV request courtesy of fellow JVNP 2.0 Partner Scott Palat (Healthy Revelations – Beats Liposuction – natural body sculpting system – CPA affiliate program JV invite), Buzz Builders, and More … in Today’s healthy CPA commissions edition. Hey there, Fellow JVNP 2.0 Partner! This is Jeni Rogers and Jen Pascoe, and we are very pleased to have recently joined Healthy Revelations as the affiliate management team. Beats Liposuction is the latest and hottest offer from Healthy Revelations! This natural body sculpting system is a completely holistic alternative to liposuction. Clinically-created cloth wraps are a safe and non-invasive alternative to liposuction surgery. This product produces the same results as surgery by simply applying cloth treatments for a remedial period of time. There are different treatments for each “problem area” of the body and comes with two upsell offers as well (packaged deal and membership service). $150 EACH sale and paid the very next day! Did you hear that, getting paid the VERY NEXT DAY! We’d be delighted to assist you with any questions you have about the offer, and provide you anything you need for your promotions! Please email us at jen.pascoe@thenetmomentum or Skype us at jenshinepascoe with any questions you may have. Clarke Hanna, Bryan Winters, John Pearce, Christian Fea, Greg Jacobs, Matt Wolfe and other fellow JVNotifyPro 2.0 partners are waiting in the wings … keep your eyes on your Inbox, and follow the action in the JVNP 2.0 Premium VIP JV Announcement archives.